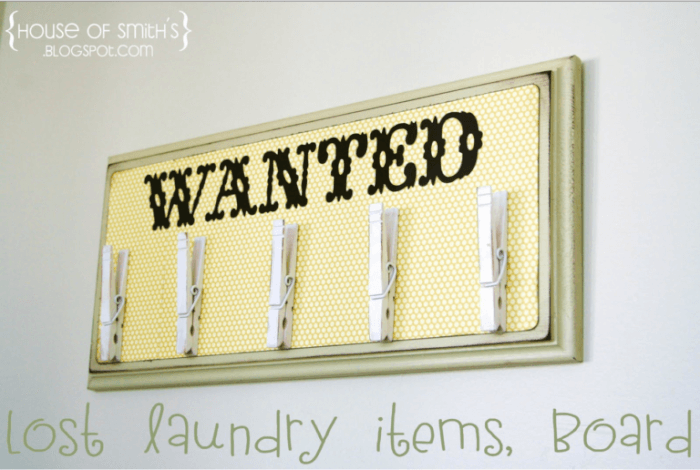 How often do your kids just toss their dirty socks/sweatshirts/soccer uniforms onto the floor of the laundry room? Like every.single.day? Yep- here too. I love the idea of creating sorting bins on the wall and insisting that I will only wash what has been properly sorted into a bin! 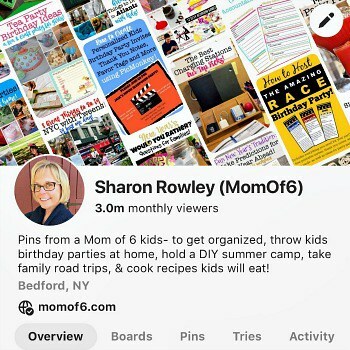 Created by The Pin Junkie and featured on Remodelaholic. You can find these laundry bags here). Where Do You Put the Lint? 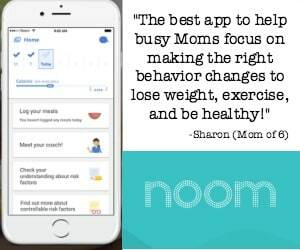 I am in love with this idea…. in principle. The very notion that I could have a bin for each of the kids' laundry baskets so I can then just fold items directly from the dryer and put them into the bins sounds awesome! 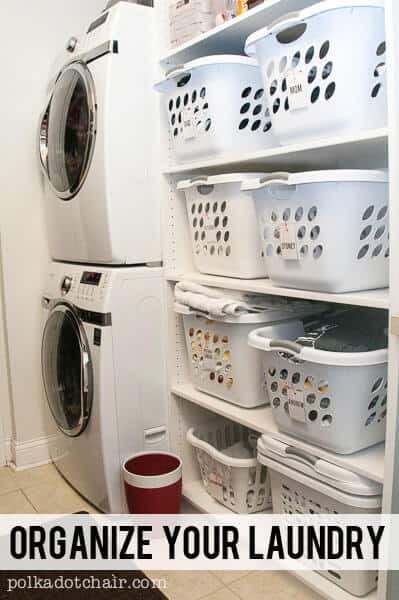 But what I always wonder about- is that when those laundry baskets are on the shelves, is there enough clearance at the top of the basket to allow you to put the laundry inside without having to first slide each basket out a little to access it? I think if I had to slide each basket out to put something in it- that would make it take twice as long to fold and sort. What do you think? Created by Melissa from Polka Dot Chair. Here is an idea from my own laundry room that I featured over on OrgJunkie. 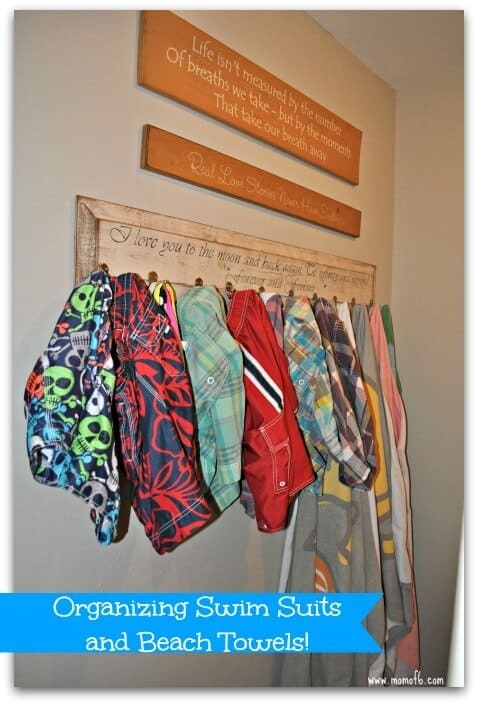 In our house, the laundry room is also the place where we hang all of our beach towels and swimsuits in the summer. 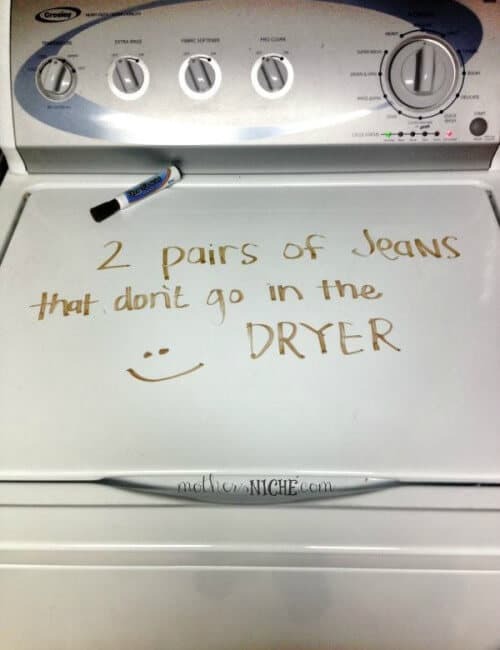 If they are soaked- they are only dripping on our laminate laundry room floors, and it makes it super easy for me to toss them all into the washer and dryer each week to return them to their soft and fluffy status! 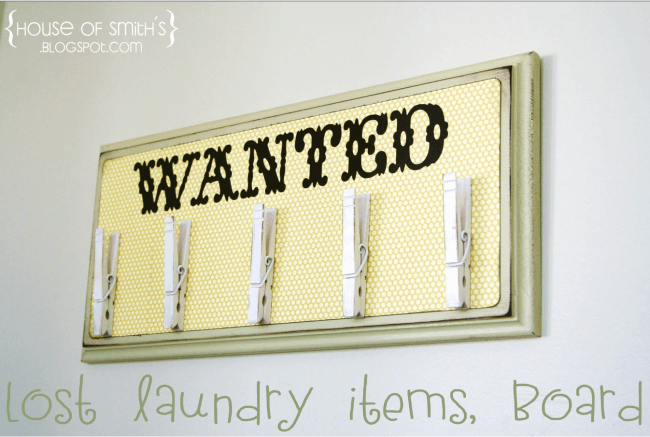 (Does your laundry room serve multiple purposes like mine? Mine is also a place for storing cleaning supplies.) 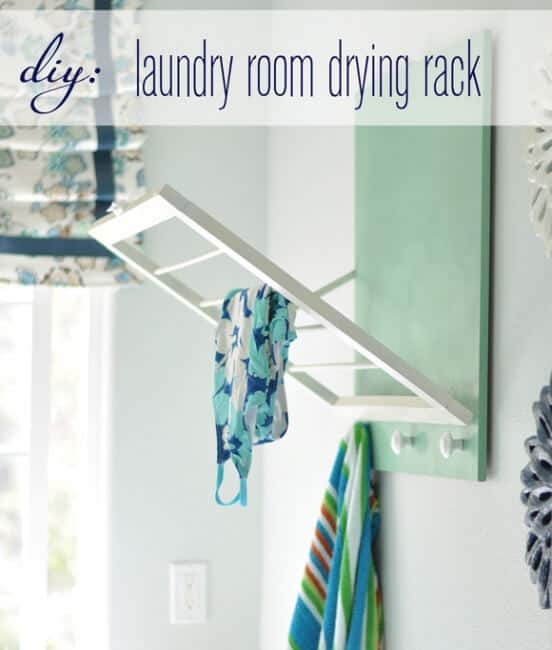 You can create a similar hanging towel rack with this wall mounted 6-hook board). As I mentioned earlier, I think a laundry room should be both organized AND pretty. But what do you do if you want to improve those laminate floors but not spend a lot of money? Well, check out this amazing laminate floor makeover from Designer Trapped in a Lawyer's Body! In fact, she made over her entire laundry room for $71! 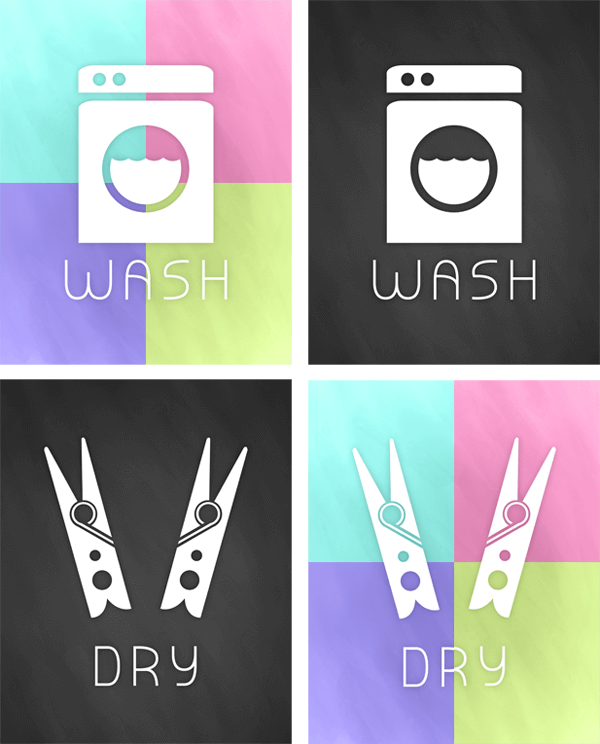 The Shabby Creek Cottage has a fantastic collection of free printable laundry art that you can download and print at home, pop into an inexpensive set of picture frames and “pretty up” your laundry room! I love these! There is no better way to have an organized laundry room than to have a system of doing the laundry that works for you. A few years ago I heard from tons of MomOf6 readers when I asked, “Am I Doing Laundry All Wrong?“. (In fact, many of you said “Yes”!). So I love to read about how other families (especially large families like mine) tackle the laundry chore! Sarah from An Inviting Home shares how she manages laundry for her family of 7 in less than an hour's work a week (not counting the time that the clothes are spinning in the machines!). I know I can learn something here! 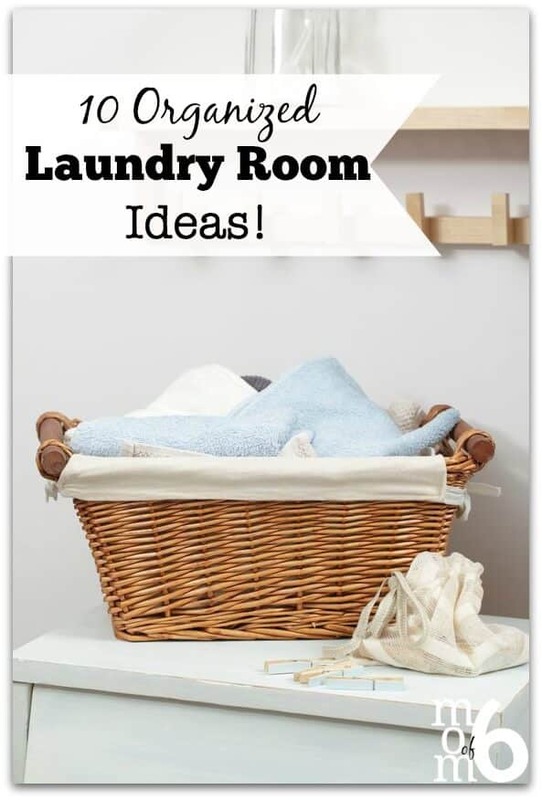 Of all of these ideas- which one inspires you to want to make a change in your laundry room right now? 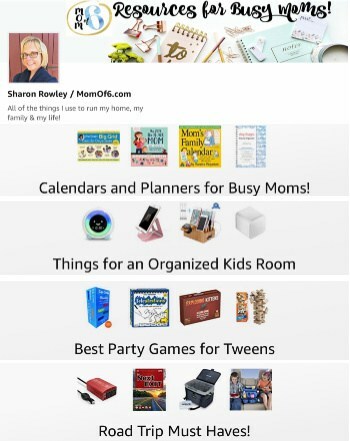 « How to Tackle Mail Organization! I love the hanging baskets!! Definitely looking into that one! 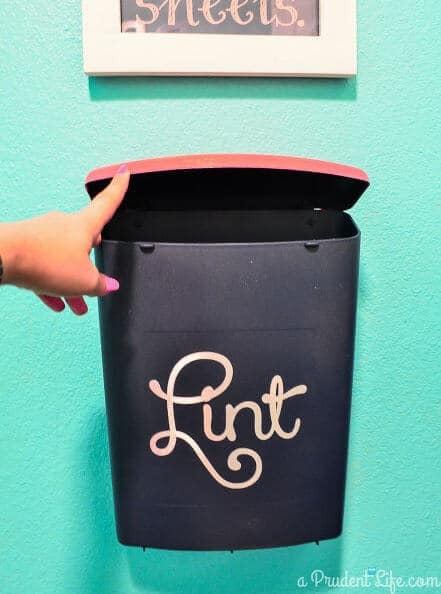 And just a little fun fact to add in…lint is great is compost! How neat is that?? Thanks for the tip! I also heard it makes a great fire starter! Bring on the s’mores! There’s some awesome ideas here. They do actually make spending time doing laundry look fun. Thanks for popping by and joining in my linkie. I’d love it if you added my badge or a link back to my homepage so that other can find my linkie too. I have been meaning to buy a mail holder for my lint. I have seen that idea before, but I love those hanging baskets. 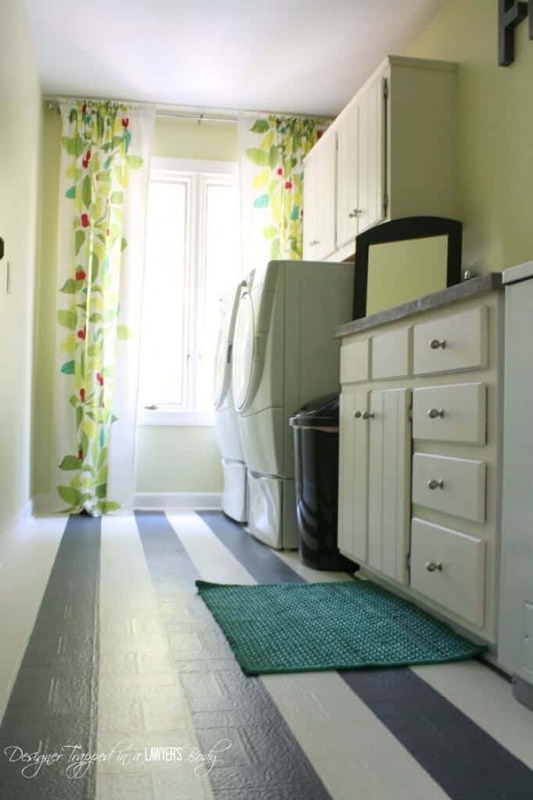 Hoping to revamp my laundry room soon. I’ll make sure to pin this! Thanks! I’ve also seen that lint makes the best fire starter too- so you’ll have something to do with all that you save in the mail holder, once winter arrives! Laundry is my least favorite chore! Probably stems from living in a house with 14 brothers and sisters! Yes, 15 of us kids and of course, my parents. My poor Mom did multiple loads of laundry every single day and I don’t recall her ever complaining about it. I think my siblings and I did most of the complaining and we only had to fold every now and then and put it away – shame on us! 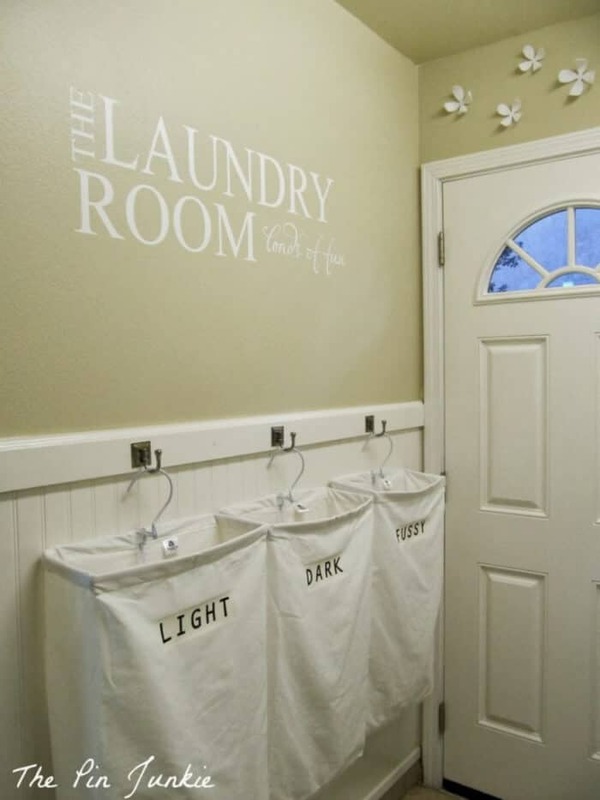 I do love some of these laundry room ideas! Thanks for sharing with us at Brag About It! 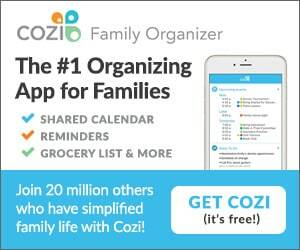 I love reading about large families as it brings back so many happy memories for me! Bless you and your family! So funny- my kids complain about having to put their laundry away too! And I feel like- heck, I did all of the work- this is the easy part! 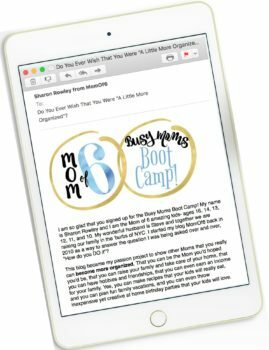 Love hearing about your large family growing up! Hats off to your Mom! I LOVE the dry erase marker idea! My daughter does a load of my clothes occasionally and it seems like something always ends up in the dryer when it shouldn’t. Thanks for posting! 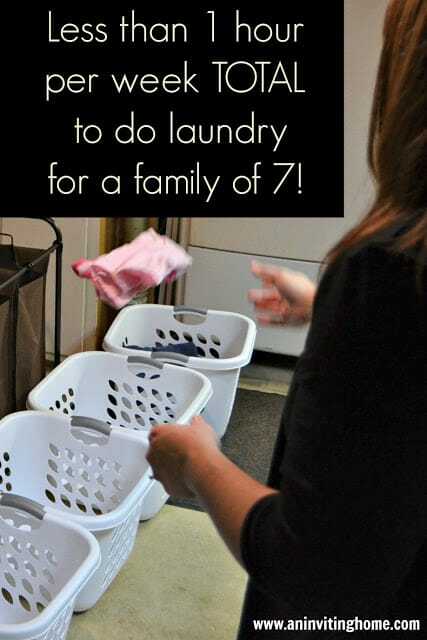 I’ve been looking for an inexpensive “how to” on laundry sorting so I’m super excited I found this one. I never thought about having each person with their own basket. When I pictured it the baskets were sorted by: whites, lights, darks, towels, reds/pinks and blue/greens (in my house we have many clothes under the red/pink and blue/green category). So that is my plan with this arrangement. So glad this post inspired you! Love the dry erase marker idea. Also the fold down drying rack. We have a strange little old cupboard the size of an old medicine cabinet in our laundry room. It would be perfect for a small rack for bras and small delicates. 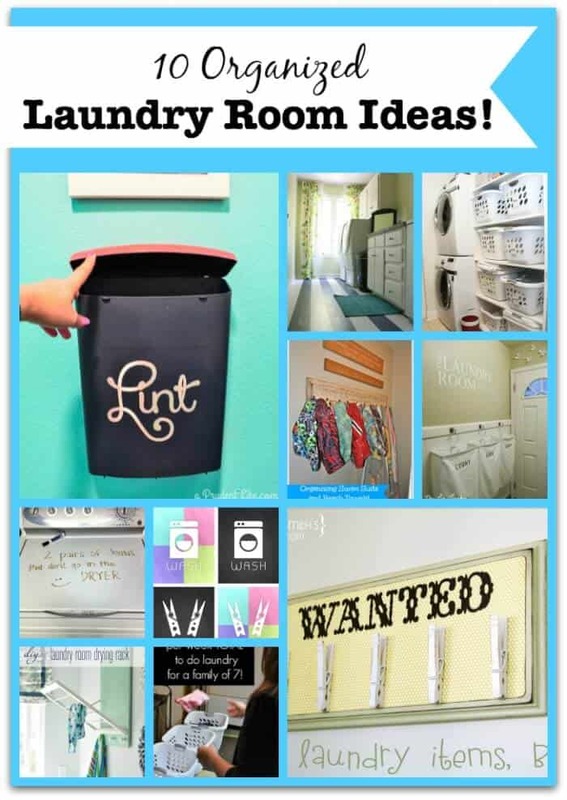 I’ve been looking over my laundry room all week trying to figure out how I am going to incorporate these ideas! But yes- if I had the cupboard like you- I took would figure out how to put a rack in it! Just an FYI for all of your followers – lint from the dryer is the best bonfire starter ever -save it up! And the dry erase – so cool – going to do this just for fun! Great idea on using lint for bonfires! I will save mine to use this summer for backyard s’mores! I throw small amts of the dryer lint near bushes in the yard – the birds always find it and use to make fluffy nests. Love watching them gather it up and knowing it helps them. Oh, I love dry erase marker tip on the washer. We do cloth diapers and they need three separate runs and sometimes my hubby doesn’t know which one they are on next! I also like using dry erase marker to write messages on windows! When I worked in an office (way back when) we used to work on whole flow charts on my office windows!